Some of the health units in our country have the most diligent workers but lack the funds, the facilities, and equipment to serve their communities at their best. To meet this need, Cherry Mobile has set up a medical fund to benefit these institutions that have the potential for impact but are restricted by material funds. Cherry Mobile set up its Charity Medical Fund, which refers to resources allotted to help public health units sustain their operational needs in order to serve the Filipino people better. This is one way of empowering the health units in the local scene so that in return, they could empower the residents in their respective communities, or in the case of medical institutions, to make health services available to charity patients. Based primarily on the needs of the identified health unit, the Charity Medical Fund is utilized to purchase medical equipment as needed by the chosen institution. Donations may range from oxygen tanks to wheel chairs to hospital beds, among others. 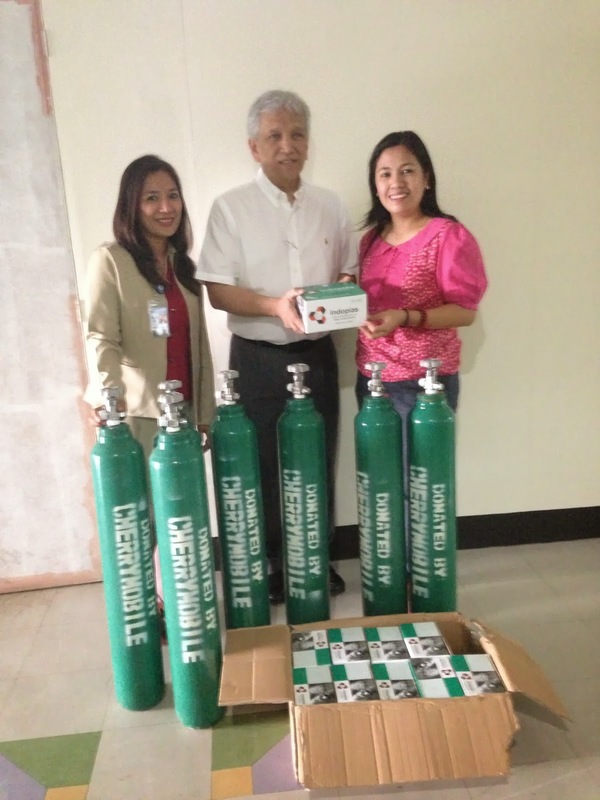 Cherry Mobile donated oxygen tanks and oxygen gauges or regulators to the Lung Center of the Philippines in Quezon City. These items were provided for the use of charity patients of the hospital. Last year, Cherry Mobile donated Fuji Salter-type baby weighing scales to barangay health centers in Del Carmen, Surigao Del Norte. The CSR team worked with the municipal mayor of Del Carmen, Mayor Alfredo Coro II, for this project which is part of a bigger campaign of the local government unit on preventive health management. 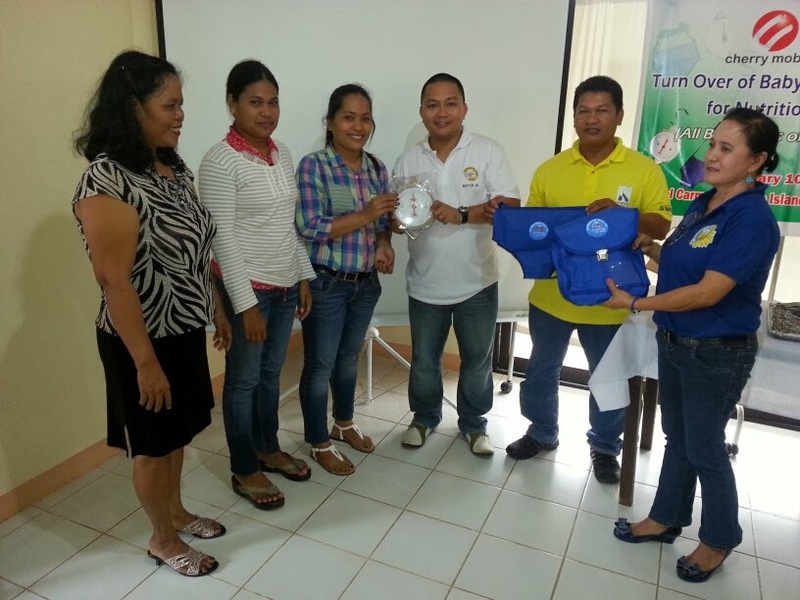 CSR manager Leah Lopez endorses the baby weighing scales to Del Carmen mayor Alfredo Coro II. The municipality has no hospital in its vicinity, and so to prevent the residents from getting sick and spending too much in hospitalization, the municipal health unit reinforces its life quality improvement program. They sought support from Cherry Mobile to purchase equipment for monitoring the weight of children in the community and combat malnutrition. They have also launched their feeding program. Cherry Mobile believes that this is an investment in the health of communities in Del Carmen, considering that this equipment will be used on a long term basis in the health centers. 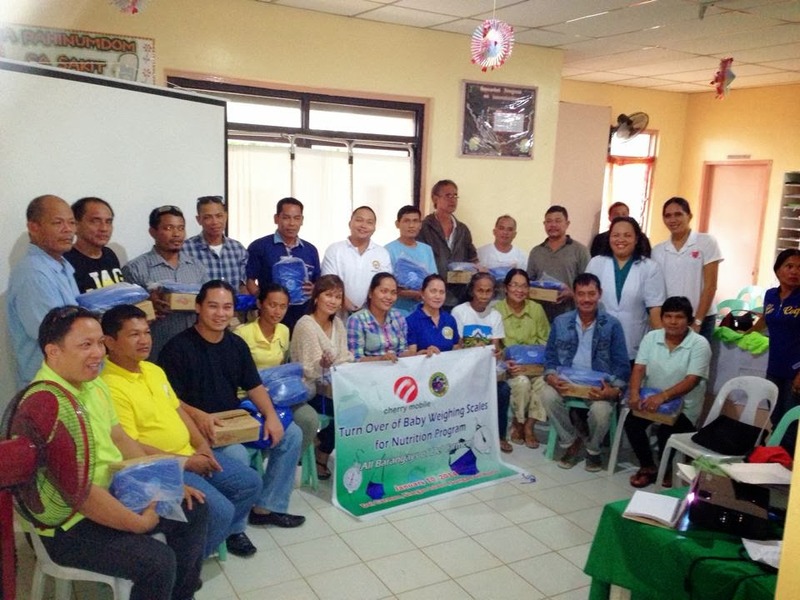 Mayor Alfred endorses the baby weighing scales to twenty barangay captains in Del Carmen. The baby weighing scales are entrusted to safekeeping by community health workers for use by residents in Del Carmen. Health is wealth, as they commonly say. This is one reason that Cherry Mobile continues to support the health sector of our country, believing that as we invest in the health of the communities, we empower them and make them ready to grab opportunities for growth. We support public medical institutions by providing them lacking equipment necessary to cure patients that have acquired diseases. Our objective is in line with the goal of Mayor Coro of Del Carmen; we desire to augment the needs of those who live along the poverty line. We desire to provide accessible health care to the poorest of the poor. We value the overall health of the community because only in unity can a community adjust, grow, and eventually change. Cherry Mobile continues to expand the reach of this program to areas where community health is least supported by the national government. Again, the principle is to help change the nation one community at a time, and for Cherry Mobile, distance is no problem as long as help is given directly to those who really need it.